From the gridiron to the pulpit. From Marietta High to the University of Kentucky, the Los Angeles Rams, the Green Bay Packers, and then into the ministry. 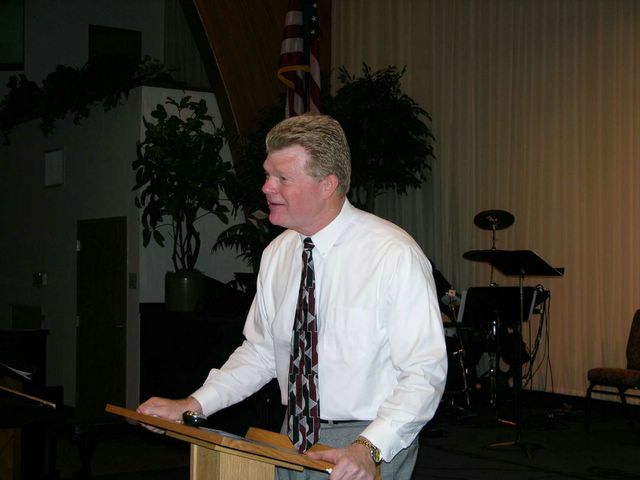 Even as a child, Rick Nuzum thought about spreading the word of God and entering the ministry. “I was impressed with the pastors at Stanleyville Community Church,” said Nuzum, now pastor at the Grace Brethren Church in Powell, a Columbus suburb. Nuzum eventually did some flying but never got his pilot’s license. However, his ambition of becoming of a minister became a reality. He has been in the ministry for more than a quarter century. Nuzum was a tough two-way lineman at Marietta and also a basketball and track athlete, graduating in 1971. He was a first team All-Ohio defensive end playing for coach Bill Bonar. Nuzum was an All-American and All-Southeastern Conference center at the University of Kentucky and his No. 52 is retired in the Commonweath Stadium ring of honor. Nuzum began his UK career as a defensive end under Fran Curci but later was shifted to the offensive line. He played both guard and tackle but played center his final two years. Nuzum was key in Sonny Collins becoming the Wildcats’ all-time rushing leader and the ‘Cats posting their first winning season (6-5) in eight years. Nuzum was voted UK’s most valuable player as a senior and played in both the Hula Bowl and the East-West Shrine game. The Rams drafted Nuzum in the fifth round of the 1975 draft. Nuzum played 30 NFL games, 14 with the Rams and 16 with the Packers as a backup center and special teams player. “I played behind two all-pro centers, Rich Saul of the Rams and Larry McCarren of the Packers. Nuzum’s coach with the Rams was Chuck Knox and Hall of Fame quarterback Bart Starr of the Vince Lombardi era was his coach with the Packers. “I liked Bart as a coach and playing for a legend was special,” Nuzum said. Nuzum tore an Achilles tendon in practice and that signaled the end of his pro football career. He tried rehab but the Packers cut him. He went to the Giants but was cut in preseason 1980. There would be no more football. Nuzum went back home to Columbus after being cut by the Giants and soon began his ministerial career, first for 15 years on the staff of the Grace Brethren Church of Worthington and then on the staff of his current church. Have been trying to get in touch with you old buddy. Glad to see all is well.